Cream together white sugar, eggs, oil, and vanilla with a mixer. Sift Gold Medal™ flour, salt, baking soda, and cinnamon. Add dry ingredients to creamed mixture. The batter will be very thick. Add the diced apples and mix until combined. Fill muffins 3/4 of the way full with batter. Sprinkle the top of each muffin with a little brown sugar. Bake for 20-24 minutes or until tops are golden brown. When I think muffins, I think dry over-sweet cupcakes in disguise. Don’t get me wrong -- I love a cupcake. But when it comes to breakfast I don’t want a muffin with an identity crisis. 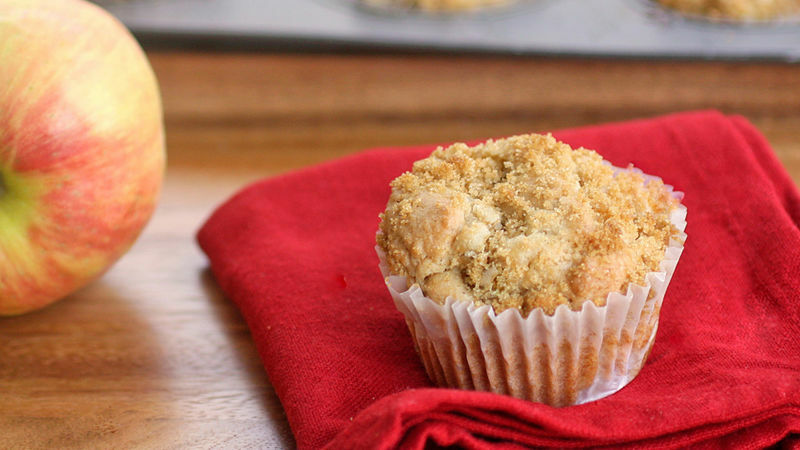 These Apple Muffins are the perfect mixture of fresh apples and cinnamon, dusted with a little brown sugar for the perfect amount of sweetness. The best thing about these muffins is how incredibly moist they are; no glass of milk required here. They are honestly one of my personal favorites as well as one of the most asked for recipes by my friends and family. 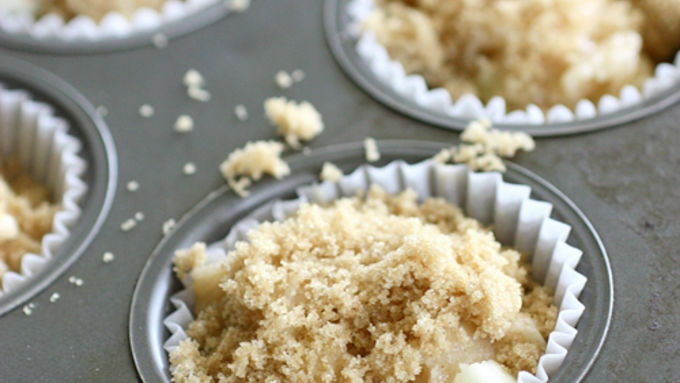 I have made these apple muffins more times than I can count and have the recipe memorized. What I love about these is that I can have a batch in the oven in less than ten minutes and I always have the ingredients on hand. When my husband buys a boat-load of apples, it’s apple muffins for everyone! Here’s a batch ready to be popped into the oven. I gave these muffins a generous sprinkle of brown sugar on top to give them a slight sweet crunch. The smell of apples with a hint of cinnamon radiating from the oven is something that always draws my family into the kitchen. 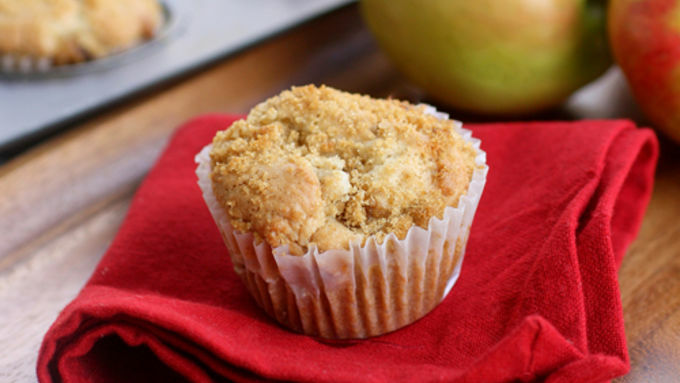 Usually it’s all about the muffin top but with these apple muffins, I’m in love with them as a whole!